Genting Secret Garden | Genting Secret Garden | Ecosign Mountain Resort Planners Ltd. The Genting Resort Secret Garden study area is located approximately 250 kilometers west of Beijing in the province of Heibei and 19 kilometers east of the city of Chongli. The site is located adjacent to the Great Wall of China running in a north to south direction. 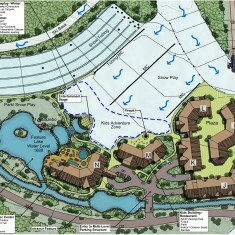 In May, 2009, Ecosign prepared a Resort Area Master Plan for the study area. 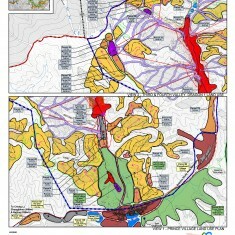 The mountain design at build out includes 22 lifts with a capacity of 18,720 skiers at one time. 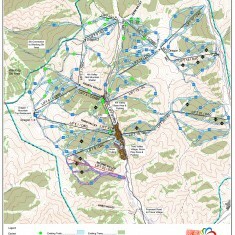 The base lands design is extensive including parcels for seven 18 hole golf courses and 138 Land Use Parcels with the accommodation potential of 125,366 beds at build out. 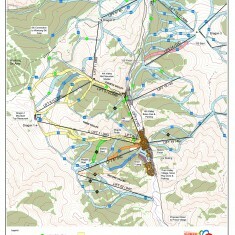 The resort opened in December of 2011 with two detachable quadruple chairlifts with bubbles and the 4th Valley Day Skier Service Center. 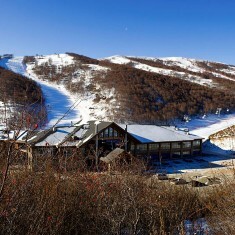 In December of 2012, the resort doubled the amount of ski terrain with the installation of a combination quadruple chairlift/8-passenger gondola lift which connects the 3rd Valley hotel complex with the top of the mountain and the Jin Hua mountain top restaurant.